By far, the largest consumer of dysprosium is the permanent magnet industry. 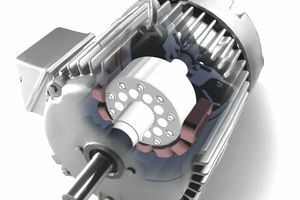 Such magnets dominate the market for high-efficiency traction motors that are used in hybrid and electric vehicles, wind turbine generators and hard disc drives. Dysprosium comprises about 3 to 6 percent of neodymium-iron-boron (NdFeB) magnets (by weight) used in specific, usually high temperature, applications. Being stable over a range of temperatures and reducing magnet weight by up to 90 percent, such magnets are critical to all hybrid and electric vehicles. Demand from the permanent magnet sector accounts for an estimated 90 percent of all dysprosium consumed annually. The permanent magnet market grew at an estimated average rate of about 13 percent between 2003 and 2008 and is forecast to continue expanding between 8 to 10 percent per annum through 2019. According to Magneticsmagazine.com, global sales of permanent magnets is estimated to grow from around US$ 15 billion in 2012 to over US$ 28 billion by 2019. Despite efforts to reduce the amount of dysprosium used in high-temperature permanent magnets, it is still an integral part of the roughly 80 metric tonnes of NdFeB magnets produced worldwide each year. And, while the primary market for dysprosium-containing NdFeB magnets are alternative energy automobiles, these magnets can also be found in other high-temperature motors and generators, commercial and industrial generators, including wind turbines, electric bicycles and energy storage systems, maglev train systems, gauges, relays and switches, magnetic separation tools, sensors, MRIs, and magnetic refrigeration units amongst various other applications. According to research conducted into materials needed for critical energy technologies by the European Commission, demand for dysprosium will double by 2020, averaging an annual growth rate of 9 percent. Ultimately, the group predicts that this will lead to a 23 percent supply shortfall by the end of the decade. Following rare earth supply shortages that drove prices for these elements skyward in 2010 and 2011, many organizations, including the US Department of Energy (DOE), predicted an impending shortage of dysprosium. One result of this has been efforts to re-design high-temperature permanent magnets and systems dependent on such magnets to lessen the amount of dysprosium required. In 2012, Toshiba announced the development of a dysprosium-free samarium-cobalt high-temperature magnets. Other applications for dysprosium include in the cermet alloy Terfenol-D (that is what the "D" stands for). Terfenol-D, which also contains iron and terbium, has been used in transducers, mechanical resonators, and precision liquid-fuel injectors. Dysprodium-oxide-nickel cermets have been proven to have a high thermal-neutron absorption cross-section. Why is this important? Well, nuclear reactors need a material with such properties to make control rods for absorbing neutrons and, thereby, cooling the nuclear reaction process. Importantly, the cermets neither swell nor contract under neutron bombardment, although it does change shape within a magnetic field. As a source of radium, dysprosium-cadmium chalcogenides, are used to study different chemical reactions. Dysprosium oxide, meanwhile, is used as a dopant in specialized capacitors for the electronics industry. The rare earth's ability to be magnetized also makes it ideal for components in hard disks and other data-storage. Halide discharge lamps and laser materials that combine dysprosium and vanadium that make use of dysprosium iodide (DyI3) produce a very intense, white light. Calcium sulfate and calcium fluoride crystals that are doped with dysprosium can be used in dosimeters, specialized tools for measuring ionizing radiation. This is because the dysprosium will glow when the material is exposed to radiation. The level of luminescence indicates the surrounding level of radiation. Finally, nanofibers of certain dysprosium compounds have shown to possess a large surface area and be extremely strong. These properties may make them suitable for catalyst ingredients or high strength, corrosion resistant applications. Arnold Magnetic Technologies. The Important Role of Dysprosium in Modern Permanent Magnets. January 17, 2012. Kingsnorth, Prof. Dudley. "Can China's Rare Earths Dynasty Survive." China's Industrial Minerals & Markets Conference. Presentation: September 24, 2013.